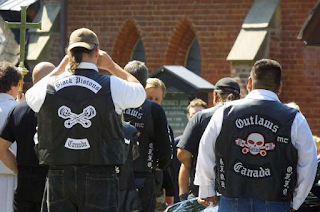 There have been at least six violent clashes over the last year and a half between the Hells Angels and the Outlaws MC, according to police biker experts. The HA have a chapter of Nomads in New Brunswick made up of several high-ranking members transplanted to the province. On Canada Day, they also opened up new Moncton and Halifax chapters of the Red Devils. 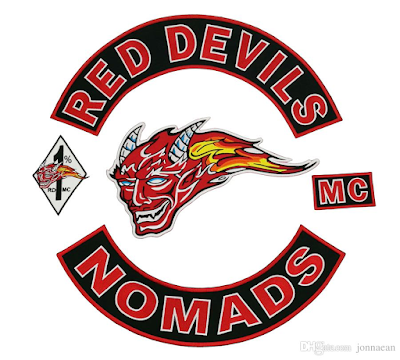 RCMP characterized the Red Devils as the top "friend club" for the Hells Angels. While members of support clubs attend HA events and wear official clothing, friend clubs do the bidding of the parent club. The Outlaws operate in New Brunswick through the Black Pistons, a support club with a chapter in Fredericton. 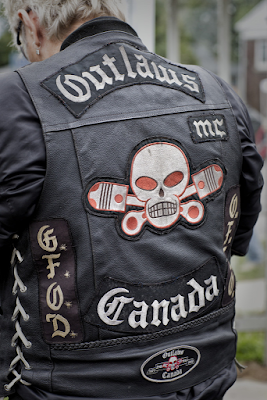 Hells Angels and Outlaws in the same geographic territory is a recipe for conflict because they are in the same business. There were four violent incidents in the Fredericton area, along with one clash in the eastern region of the province and one in Nova Scotia.